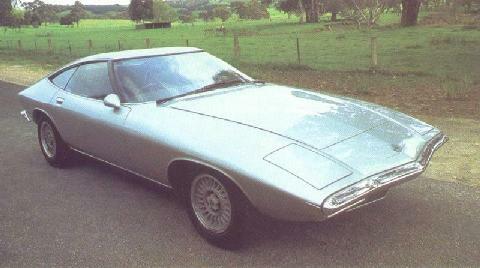 The coupe version of the Holden Torana closely resembles the Opel Manta. The Torana was available with three different engines: 1,159 cc four-cylinder, 2,261 cc six-cylinder and 1.2 litre engine tuned by Jack Brabham to produced 80 bhp at 5,600 rpm. 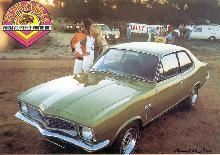 It was possible to get a 5-litre V-8 engine for the Torana that produced more than 200 bhp. The Torana coupe could also be easily converted to form a camper. The necessary equipment was available from Holden. Early Model (fx/fj) Holden Club of Vic Inc.